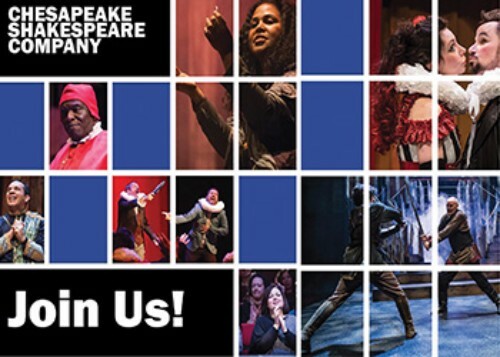 charmcityartsmaven: CHESAPEAKE SHAKESPEARE COMPANY ANNOUNCES 2017-2018 SEASON! CHESAPEAKE SHAKESPEARE COMPANY ANNOUNCES 2017-2018 SEASON! Subscribers enjoy the greatest savings and hold seats in preferred sections for the season. Returning subscribers: Keep your current seats. Renew by May 15, 2017. New subscribers: Welcome! We process new subscriptions in the order received when the Box Office staff begins seat assignments on May 15, 2017.